The filter itself is the frame or housing mechanism that holds the media in place as a process stream is run through them. The media or material is responsible for the entrapment, collection or dissolution of impurities. Filtration is essential to the safe and productive daily operations of most industrial and commercial facilities. Water treatment, sewage, medical, pharmaceutical, food and chemical processing, aviation, aerospace, laboratory, electronic, manufacturing, automotive, building, construction, mining and agricultural industries use filter media in a number of applications in order to comply with air and water purity regulations enforced by the Food and Drug Administration (FDA), U.S. Department of Agriculture (USDA), Occupational Safety and Health Administration (OSHA) and other national and international committees. 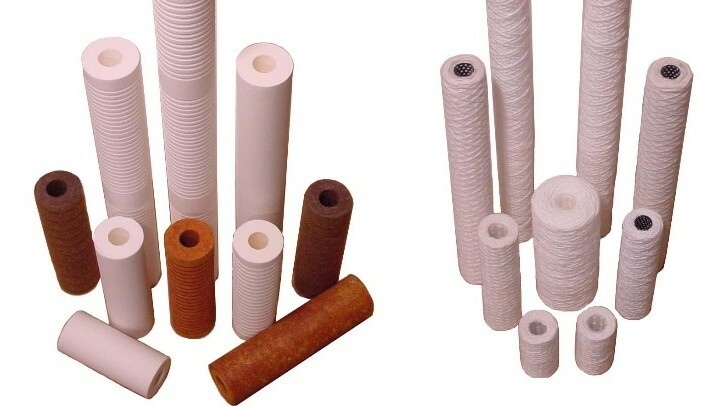 Domestic applications for filter media likewise abound as they are implemented in heating and cooling as well as the purification of drinking water. While a single device may be used, filter media are often used in conjunction with other panels or cartridges of similar or disparate composition in order to ensure maximum filtration. Some filtering systems require the removal of even microscopic impurities as small as 0.3 nanometers, while large particle removal will often suffice in industrial settings. Insufficient filter media can lead to increased worker illness, clogging and mechanical failure of equipment as well as product contamination. Filter media process contaminated materials in a passive manner. That is, the filters themselves are stationary and the process stream, gaseous or liquid, is pushed, pulled or otherwise forced through the filter media. Each of these fibrous or porous materials is composed of fine or coarse semi-permeable matrices that trap or chemically dissolve particulates while allowing the base product, gas or fluid, to pass through. Engineers may design filtration systems using either organic or synthetic filter media. Organic options are increasingly popular with the advent of ‘green’ manufacturing. Activated carbons or clay are used in water treatment as well as to dissolve chemical contaminants such as acids and surfactants. Diatomaceous earth is another organic filter media with high absorption and low bulk-density. A number of cellulose based materials as well as sand and paper may be used as organic filter media as well. Synthetics include a wide variety of plastics such as polypropylene, polyvinylide chloride and polysulfone. These materials, however, are under scrutiny as disposable filters are often deposited in landfills. Other synthetics include fiberglass, glass wool, ceramics, sintered glass and porous metals. With such a variety of applications, it is important to consider the qualities, capacities and capabilities of a specific filter medium with regard for its intended use. Essential considerations include filtration grade, porosity, flow rate, filter location, stream viscosity and temperature, filter load capacity, maximum flow, efficiency and absorption. Filter Media Filter media are materials used to remove or reduce the number of impurities in an air or fluid supply. 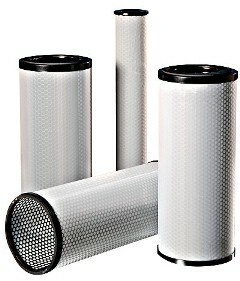 Filtration products and equipment have two basic components: the filter and the media.